What Type of Tree Is Mahogany Wood? American basswood, or Tilia Americana, is a large deciduous tree with soft, light wood that works well in carving and other woodworking projects. 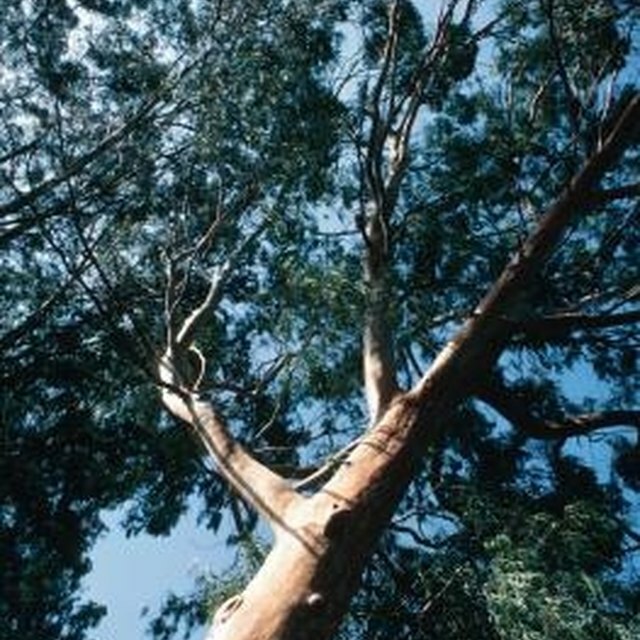 This tree is native to much of North America, from southwestern New Brunswick west to southern Quebec and Minnesota, and south as far as northern Arkansas. Wood from the American basswood is also sold as linden in North America, and as limewood in the U.K. and Europe. Basswood trees are also called linden and limewood. The American basswood tree grows up to 100 feet high and between 2 and 3 feet in diameter, with a tall trunk suitable for producing long pieces of lumber. The sapwood is creamy white to pale brown, merging slightly into the heartwood. This wood is sometimes sold as white basswood. Basswood heartwood can be creamy white to pale pink-brown and has a straight, fine grain and uniform texture. Basswood lumber looks very similar to a related European species, Tilia vulgaris, historically used for fine carving. Seasoned basswood holds its dimensional stability well in use, making it an excellent choice for picture frames, furniture and cabinetry. The wood is quite soft for a hardwood, at only 410 pounds-force on the Janka scale -- softer than many softwoods. Basswood has little to no resistance to decay fungi and insect attack. Sapwood is often destroyed by furniture beetles, and logs may be attacked by the longhorn beetle. Basswood does respond well to treatment with preservative chemicals, but is rarely used in situations where decay or insect damage is a significant risk. This even-textured, soft wood makes an excellent choice for hand carving. Even small branches from fallen basswood trees can be used as carving lumber. This wood has little blunting effect on saws and other cutting tools, and is easy to shape with both power and hand tools. It planes, turns, bores and mortises well. Use very sharp tools for best results, since the soft wood may dent under blunter edges. Basswood can be molded to shape, but requires a lot of care. The wood holds nails and screws well, but its softness may encourage fasteners to pull out under stress. Basswood's softness also affects its ability to hold stain, but varnish and enamel paints work well. Basswood is widely available in North America and quite inexpensive, according to Woodworkers Source (see Reference section). It is commonly used in carving and model making, as well as to produce decorative veneer, some light furniture and interior trim. Basswood makes attractive carved kitchen cabinets and household objects, but does tend to dent under impact. It makes a poor choice for any use where the wood will suffer significant wear or stress.